This is one birthday celebration that lasts an entire month. 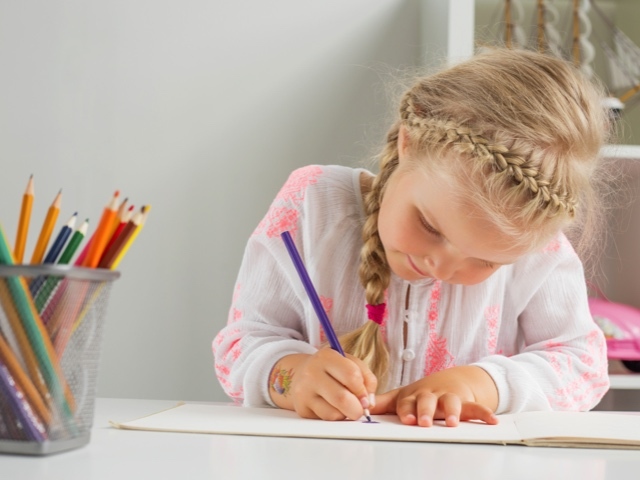 Connells Maple Lee Flowers & Gifts’ annual birthday card design contest, which is open to children ages 5 to 12, runs through June 30. The winning design will adorn the Connells Maple Lee Kids Club birthday card, which is emailed to all kids club members on their birthdays. The winning artist will receive free flowers on his or her birthday. Entry forms are available at all Connells Maple Lee stores or can be downloaded here. To be eligible, entries must be dropped off at a Connells Maple Lee store by June 30: 3014 E. Broad St., Bexley; 2033 Stringtown Road, Grove City; or 8573 Owenfield Drive, Powell. 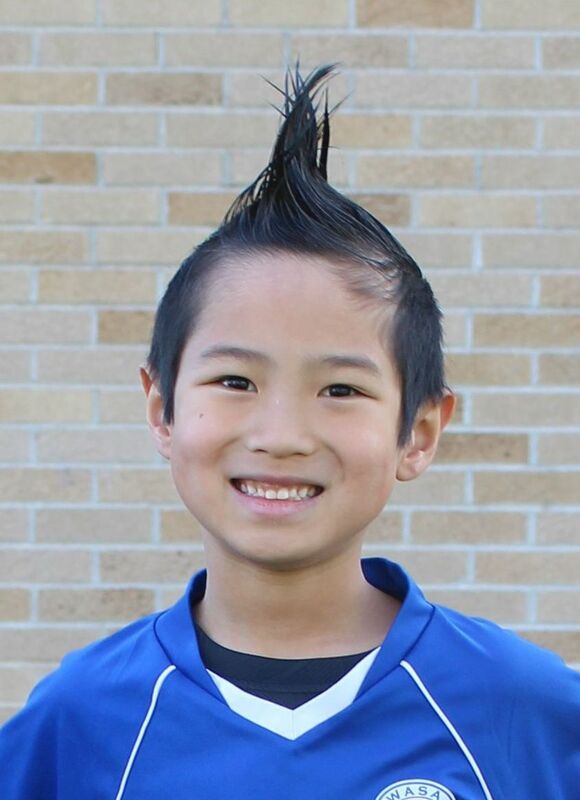 Caden Shen, 7, likes dinosaurs, playing soccer, and walking on a nature trail. “And he likes to draw a lot,” said his mother, Wen. In fact, he’s now an award-winning artist. His drawing of flowers is the winning entry in the 2016 edition of Connells Maple Lee Kids Club birthday card design contest. His design will be featured on the electronic card that Connells Maple Lee Kids Club members will receive on their birthdays in the coming year. Caden’s prize is a free flower delivery on his next birthday. Caden lives in Westerville with his mother and father, Jon Shen. He will be a first-grader at Annehurst Elementary School. Thanks to everyone who entered this year’s contest. The kids club is free to ages 5 to 12. With parental permission, children may register for the kids club at any Connells Maple Lee store or online at cmlflowers.com/kidsclub. Membership benefits include a membership card, Web site activities, an e-mail newsletter, contests and in-store events. “Some say the world will end in fire, Some say in ice,” wrote the poet Robert Frost. That is the winning name, submitted in separate entries by Rita Beck of Columbus and by Linda Sivinski of Powell. Each of them will receive one of the arrangements after it debuts on Dec. 5. The arrangement, which will be offered year-round, comes in a clear glass cube. It features three types of greens; red flowers comprising one-dozen roses, alstroemeria and hypericum; and white flowers comprising hydrangea, veronica and stock. The contest generated 71 entries in all. We’ve developed a new European-style arrangement, but we need help naming it. This is where you come in, by entering our name-the-arrangement contest. A lucky winner will receive one of the arrangements as his or her prize. The deadline to enter is Oct. 20; limit one entry daily per email address. His mother describes Landon Brown as an “outdoors kid” who enjoys bugs and creeks, riding his bike, playing soccer. The Galena third-grader also has a creative side. His drawing of a cake, balloons and presents was plenty good enough to win the Connell Maple Lee Flowers & Gifts Kids Club birthday card design contest. In fact, it will grace the electronic card that Connells Maple Lee Kids Club members will receive on their birthdays in the coming year. For Landon’s effort, he will receive a flower delivery on his next birthday. The kids club is free to ages 5 to 12. With parental permission, children may register for the kids club at any Connells Maple Lee store or online at www.cmlflowers.com/kidsclub. We’re looking for budding artists to enter our annual birthday card design contest. The artist will receive free flowers on his or her birthday. The contest is open to children ages 5 to 12. The deadline to enter is July 17. The entry form may be downloaded at www.cmlflowers.com/kidsclub and dropped off at the nearest Connells Maple Lee: 2408 E. Main St. (Route 40), Bexley, 614-237-8653; 2033 Stringtown Road, Grove City, 614-539-4000; and 8573 Owenfield Drive, Powell, 740-548-4082. And entering the 2014 Connells Maple Lee Kids Club birthday card design contest, which is open to children ages 5 to 12. The entry form may be downloaded here and dropped off at the nearest Connells Maple Lee store: 2408 E. Main St., Bexley, 614-237-8653; 2033 Stringtown Road, Grove City, 614-539-4000; and 8573 Owenfield Drive, Powell,740-548-4082. We’ve extended the deadline for the Connells Maple Lee Kids Club birthday card design contest until Aug. 7. Between now and then, download the entry form here, create your birthday card design, and drop it off at your nearest Connells Maple Lee store. If we pick your design, we will use it for the birthday card that every kids club member receives on his or her special day. And for winning, you will receive a free flower delivery on your birthday. So get out your markers and crayons and get drawing! Would you like to win a flower delivery to your door? You could if you enter the Connells Maple Lee Kids Club birthday card design contest. The winning design will adorn the birthday card that each kids club member receives on his or her special day. If we pick your design, you will receive a flower delivery on your birthday. The contest is open to kids club members, ages 5 to 12. If you aren’t a kids club member yet, you can register here. Now, download the birthday card contest entry form here, create your design, and drop off the entry at your nearest Connells Maple Lee store by July 12.